I love my time away from school, work, and stress when I can relax & enjoy some time with my favorite guy.... my boyfriend! We always spend quality time together on the weekends; and with the holiday season just beginning, there's lots of fun things out there on our "to-do" list! 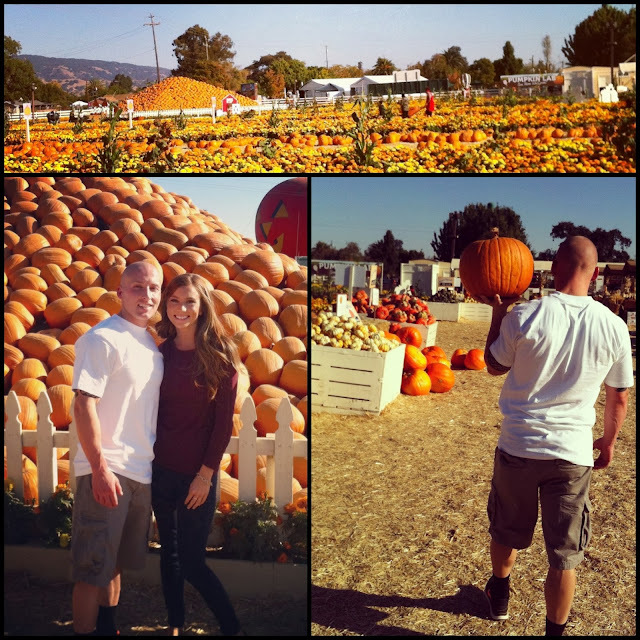 This weekend's adventure was the pumpkin patch. 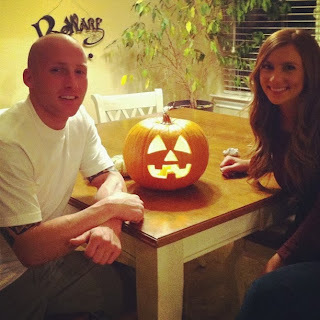 Neither one of us is a huge fan of Halloween, but it's our first together- so we wanted to do something festive and fun. 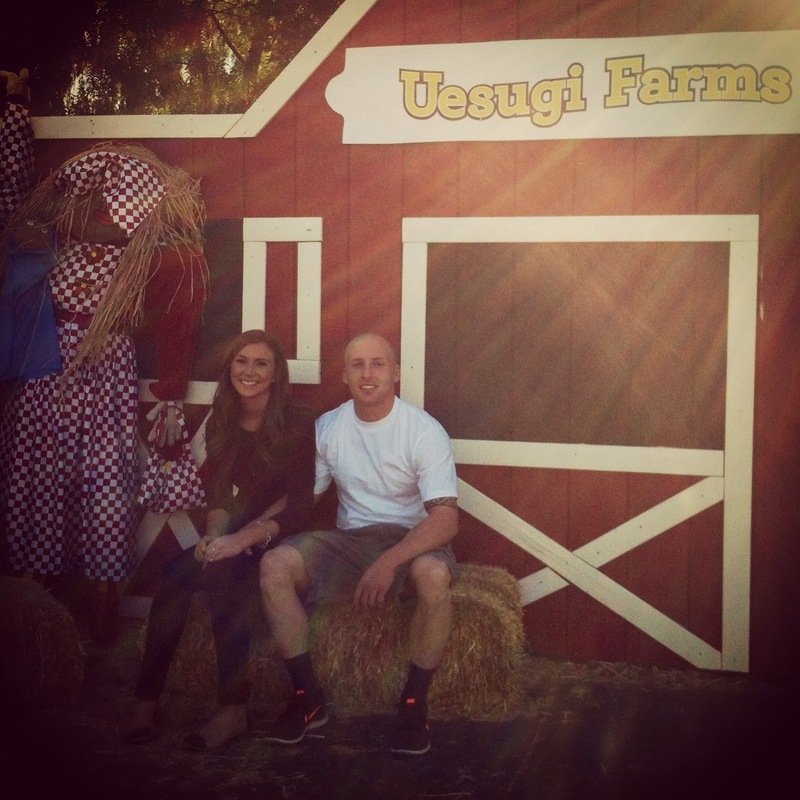 I think it's so important to take the time to continue family traditions, & create some new ones too! I hope you all are enjoying the season with your loved ones! The holidays always seem to fly by so quickly each year~ don't forget to stop & appreciate all the little moments. 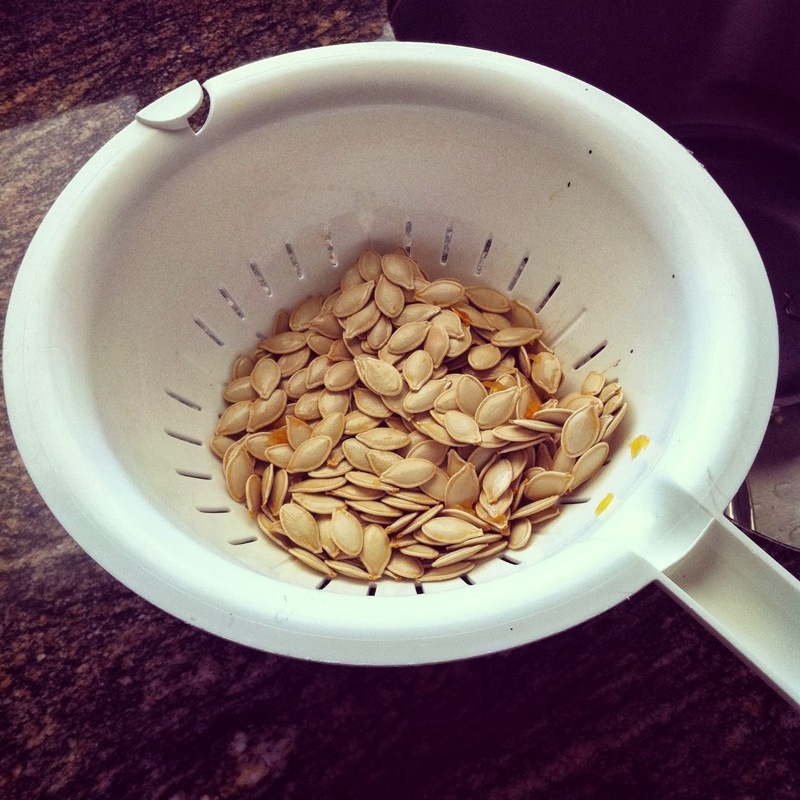 Rinse your seeds so that they are "pumpkin gut"-free. Dry them as much as you can with a paper towel. Toss with olive oil, salt, & pepper. Spread out flat on a cookie sheet lined with parchment paper. Bake at 350ºF for 30 minutes, let cool, & enjoy! 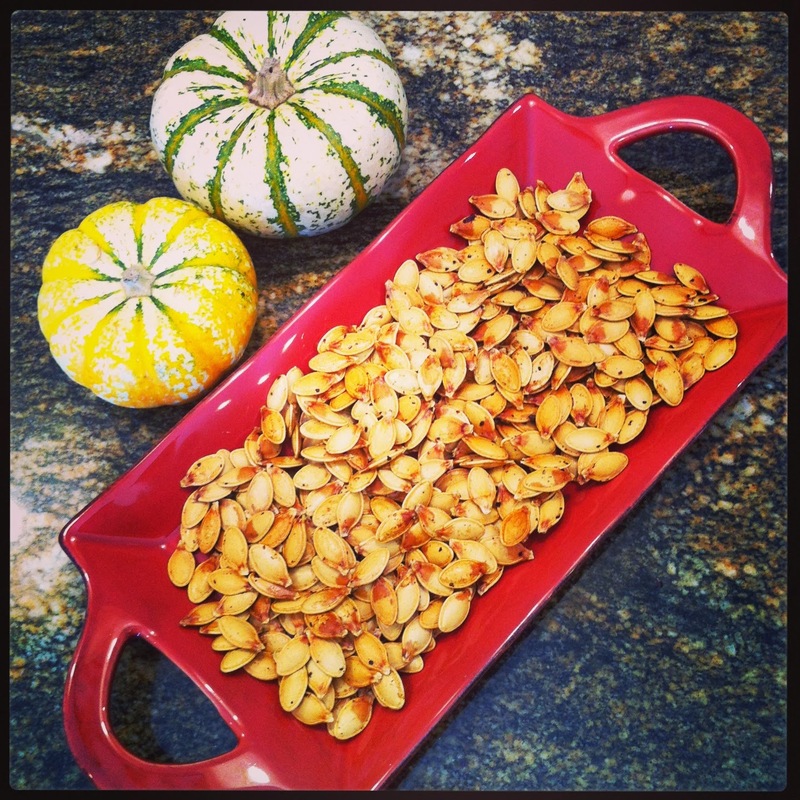 *This is what we got from one pumpkin; feel free to multiply the recipe depending on how many seeds you've got! P.S.~ I eat my seeds with the shell on... it's fiber right? Haha, but really- once they're all roasted & crunchy, they taste amazing! Hope you like 'em.